ControlTUNE is a PARCview and MACSsuite add-in used to calculate PID loop tuning coefficients. Simple to deploy plant-wide, ControlTUNE doesn’t tie you to a single tuning workstation. Documentation is simplified and automatically enforced via automatic database capture of tuning coefficients, loop response model and tuning data. 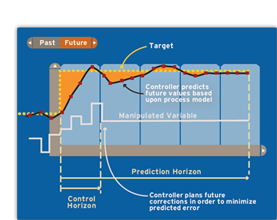 The ControlTUNE algorithms use plant bump test data to develop a transfer function model of the input-output response. Plant test data can be either open or closed-loop, even for cascaded loops. Click to calculate new tuning parameters (All major DCS PID algorithms are supported). ControlTUNE is a simple upgrade to any PARCview or MACSsuite installation. Starting from scratch? We have solutions for a handful of tags to full plant coverage.